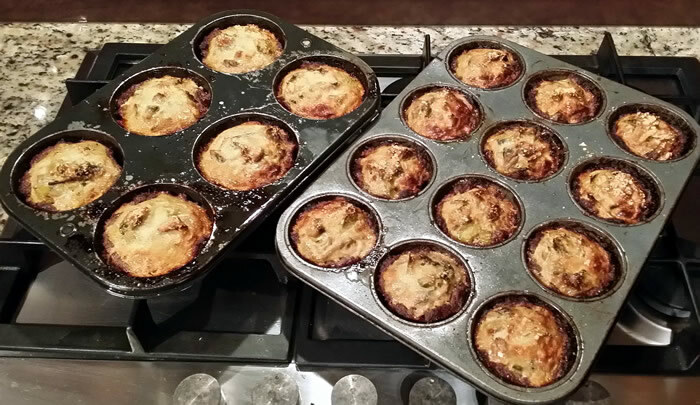 I used a 12 and a 6 muffin pan to make small party snack size pies and larger single serving pies which are perfect for a starter or lunch with salad. 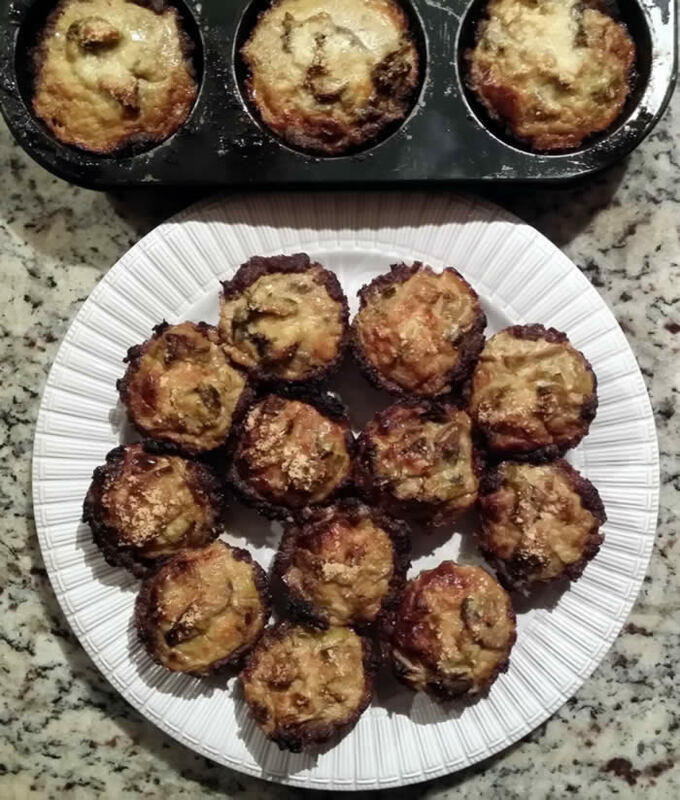 Miso paste is a healthy alternative to other seasoning options but can be substituted with Oxo cubes or something similar. 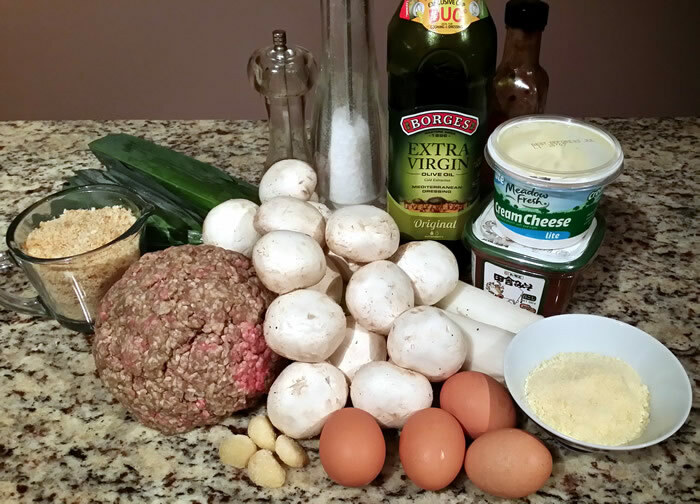 Use gluten-free bread crumbs if required. I used homemade persimmon sauce, but use your favourite “thick” sauce eg. tomato, plum etc. Eat straight away or freeze for later use. 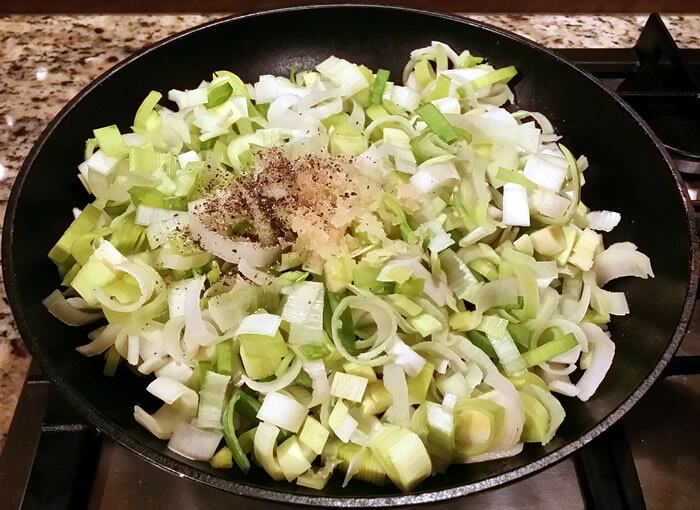 Heat the oil in a large fry pan or wok and gently fry the leeks, salt a pepper until just starting to brown (about 10 minutes). 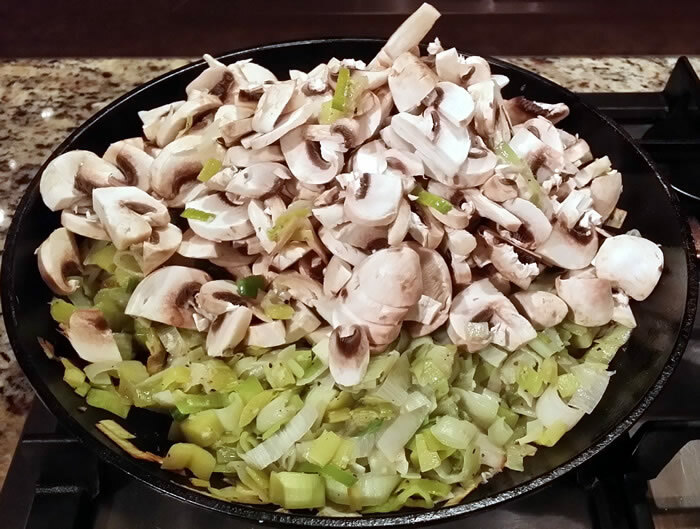 Add the mushrooms and continue frying for another 10 minutes, then leave to cool. 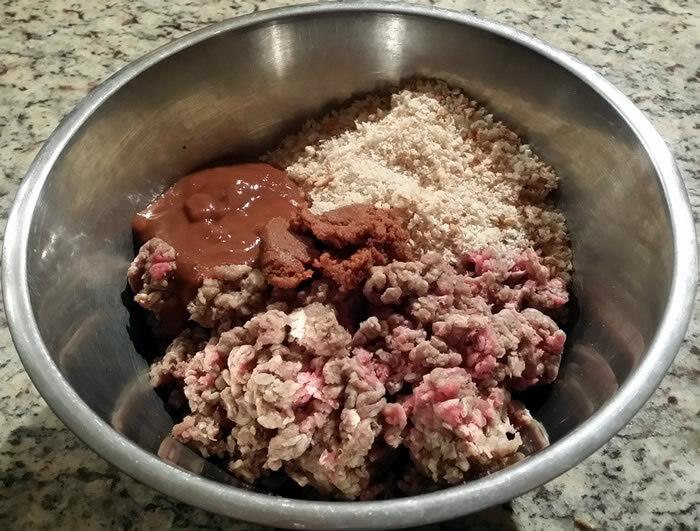 In a large bowl, mix the mince, breadcrumbs, miso paste, garlic and sauce thoroughly. 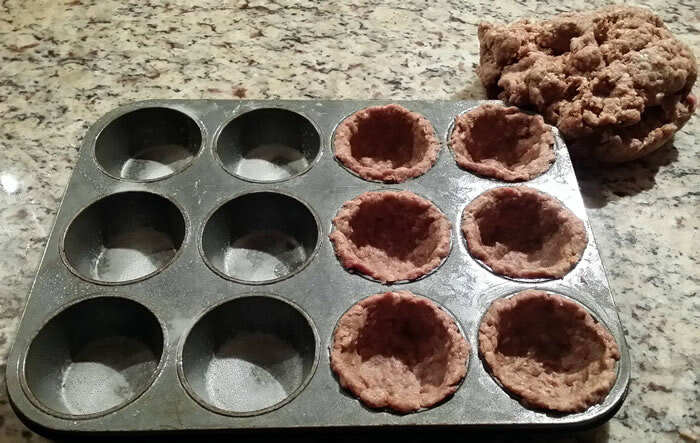 Grease the muffin pans well and divide the beef mixture and press into each pan to form a pie base. 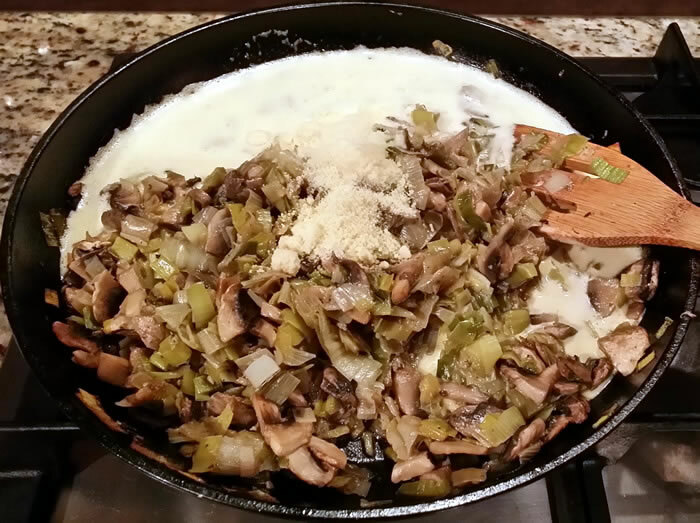 Add the eggs, cream cheese and half the parmesan to the cooled leeks and mushrooms and mix together well. 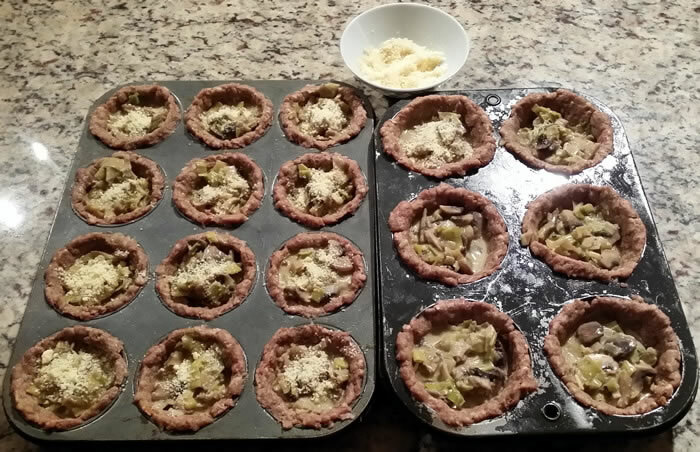 Spoon the mixture into the prepared beef pie cases and sprinkle the remaining parmesan on top of each pie. 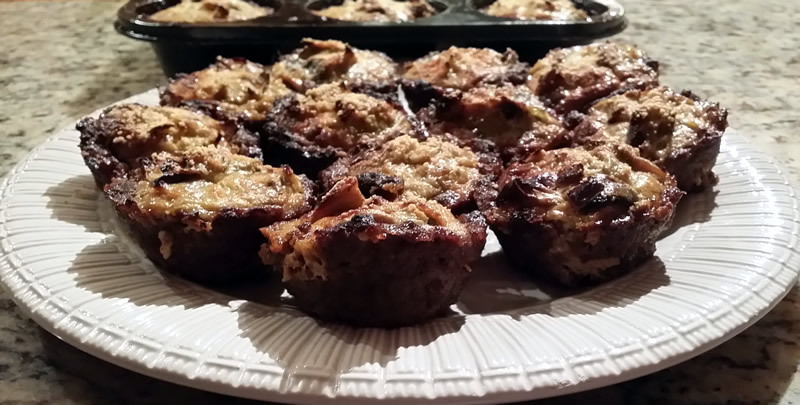 Bake at 180° C for 30 minutes. Hi Leanne, these sound very tasty, must give them a go.